C. S. I. St. Ebba’s Girls Higher Sec. School, Mylapore celebrated its 125th annual day on September 14. 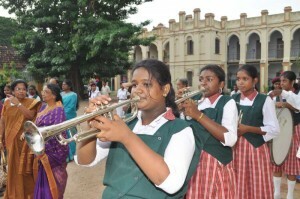 The event was held at the school’s premises. Rt. Rev. Dr. V. Devasagayam. 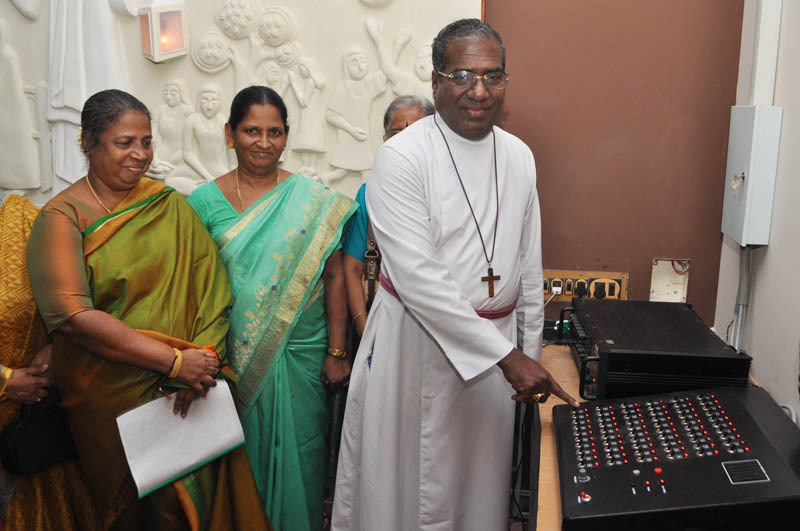 Bishop in Madras. Church of South India Madras Diocese was the guest of honour. 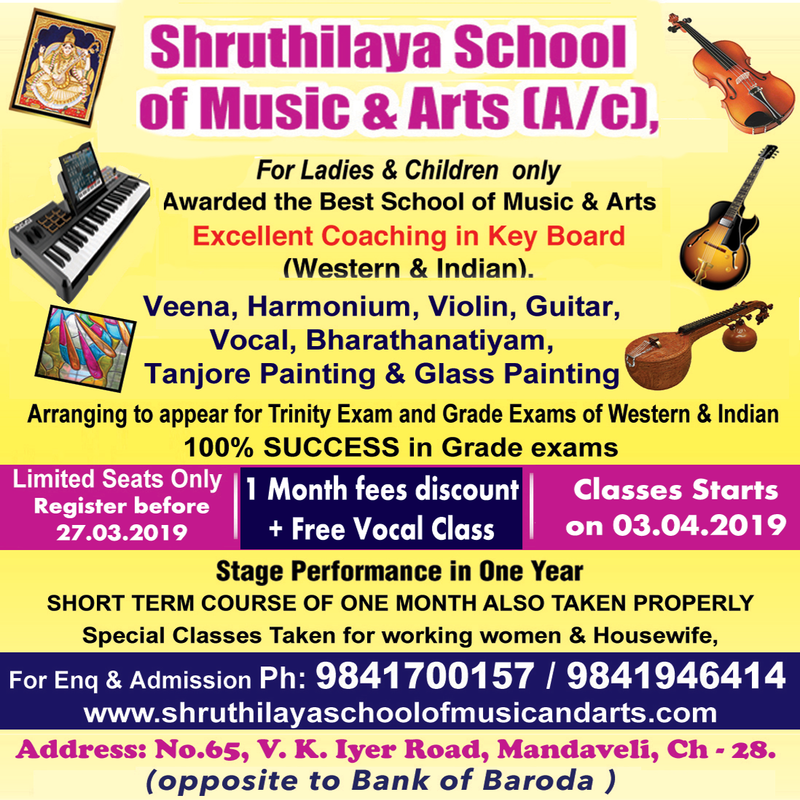 A souvenir book was released and four new classrooms and intercom speaker system for each class was inaugurated on the occasion. Alumni and students of the school sponsored these classrooms and speakers, says Getsy, a teacher here. 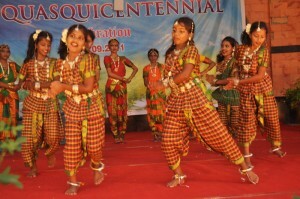 Special cultural programmes were held. 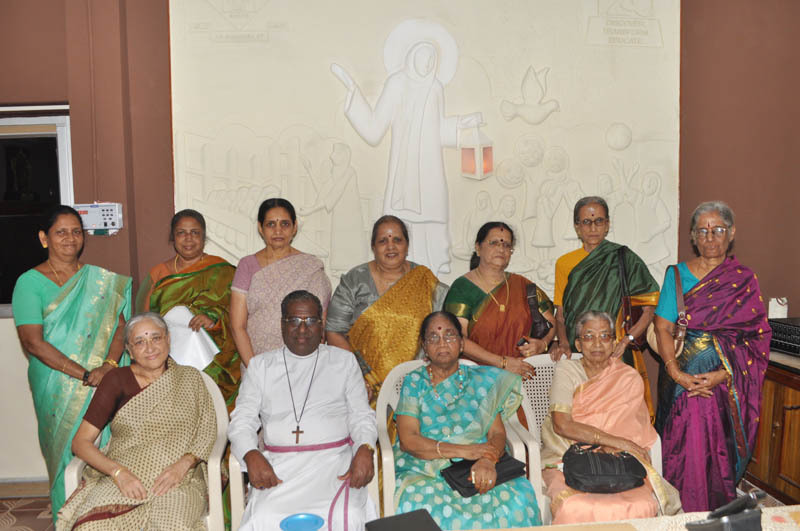 The retired teachers and alumni of the school attended the annual day as did the Correspondent and local pastor. Prizes were given to school and exam toppers and to girls who had excelled. All of them got a huge round of applause. Senior students and their parents packed the open air space in front of the stage set into the new building which was opened in 2009 in the place of what used to be a large pond. “If we came late to school or were hauled up we were asked to run around this pond!” recalled a lady who studied here in the 1950s. SPG Missionaries from Scotland started this school in 1886. It moved here after the land was bought from a British officer. It began as a primary school. 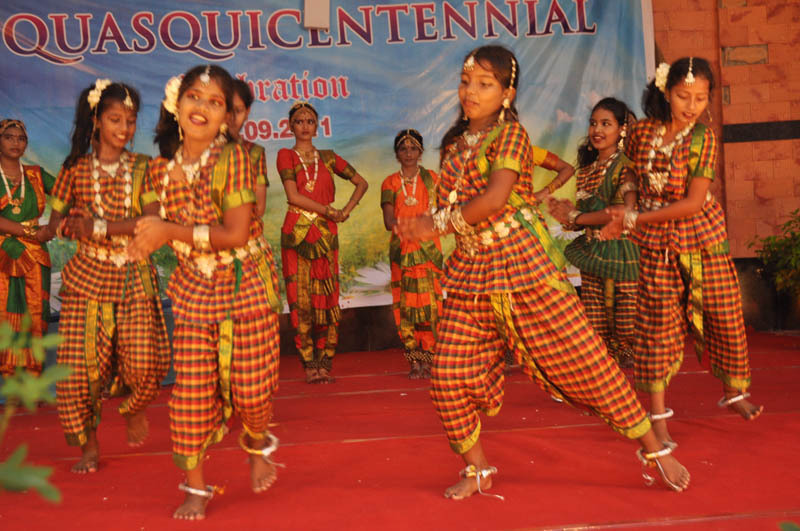 In 1901 it became a High School and in 1978 it was upgraded as a Higher Secondary school. It has about 1200 students on its rolls. The old blocks, less attended but still strong and solid now provide classroom space to the College of Education started recently. Sadly, this vintage building was left to remain in the dark after dusk fell on this evening while the new building glowed in floodlights and serial lights. The chapel in the old building remains and is still used for prayer. 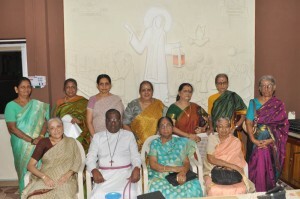 Alumni who attended the A_Day event could not help referring to the chapel. “If there was a test or an exam we would head there and say a prayer: even Hindu girls did it without hesitation.”said a woman who studied here and retired from a bank. 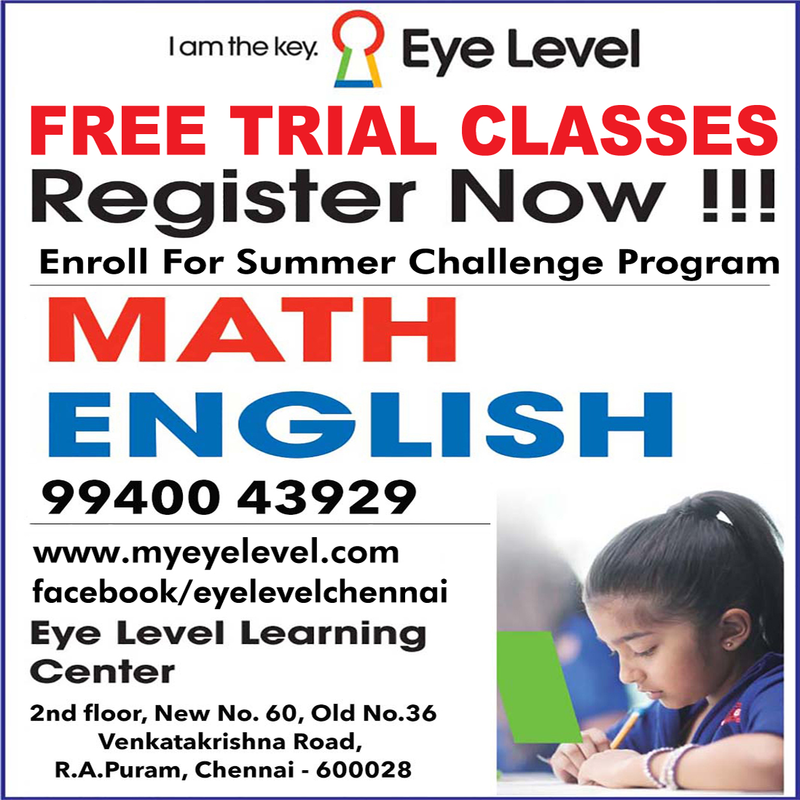 The school can be reached at 2811 6973 , 2811 5757. This entry was posted on Friday, September 16th, 2011 and is filed under Campus News. You can follow any responses to this entry through the RSS 2.0 feed. You can skip to the end and leave a response. Pinging is currently not allowed.